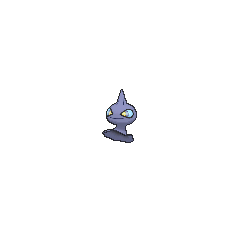 Shuppet in game: 3,046 Who? Important notice! 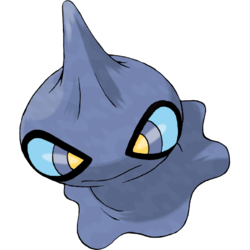 Pokemon Shuppet is a fictional character of humans. 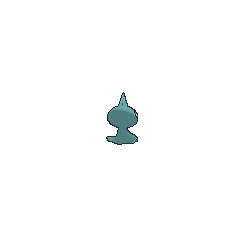 Shuppet is a spherical Pokémon that appears to be covered by a gray cloth. Black rings surround its multicolored eyes, which have light blue sclera, dark blue irises, and yellow pupils. Extending from the top of its head is a long, pointed horn. The horn collects the negative emotions of people, on which this Pokémon feeds. The emotions it feeds on include anger, jealousy, and envy. A nocturnal Pokémon, it will appear in swarms beneath the eaves of houses with negative people. It is most commonly found in cities and other urban settings. 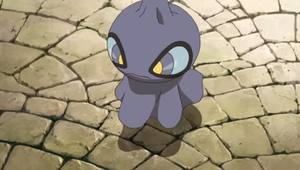 Shuppet first appeared in Take This House and Shuppet. Max got lost in an abandoned mansion and made friends with a Shuppet that was living there. Max allowed Shuppet to pull pranks to scare the others because he was angry with May. 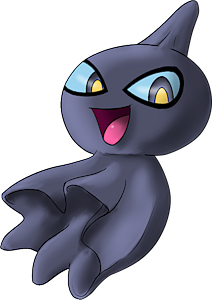 Shuppet was living in an abandoned mine with several other Ghost Pokémon in Fear Factor Phony. The Ghost Pokémon couldn't stand the partying Psychic Pokémon in the nearby town, so they composed a Haunter-like illusion to scare them away. A Shuppet appeared in PK15. Shuppet appears under the ownership of Grings Kodai in Zoroark: Master of Illusions. 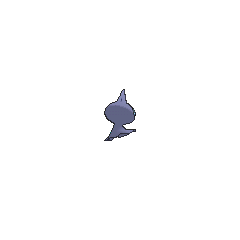 A Trainer's Shuppet appeared in Off the Unbeaten Path participating in the Pokémon Orienteering. A Shuppet accompanied the Banette that scared off Meowth in Ghoul Daze!. 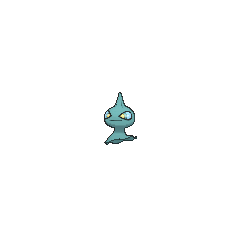 A Shuppet appeared as one of the many Pokémon that grunts of Team Magma and Team Aqua sent out in the Seafloor Cavern in No Armaldo Is an Island. Shuppet may be a combination of shadow and puppet.